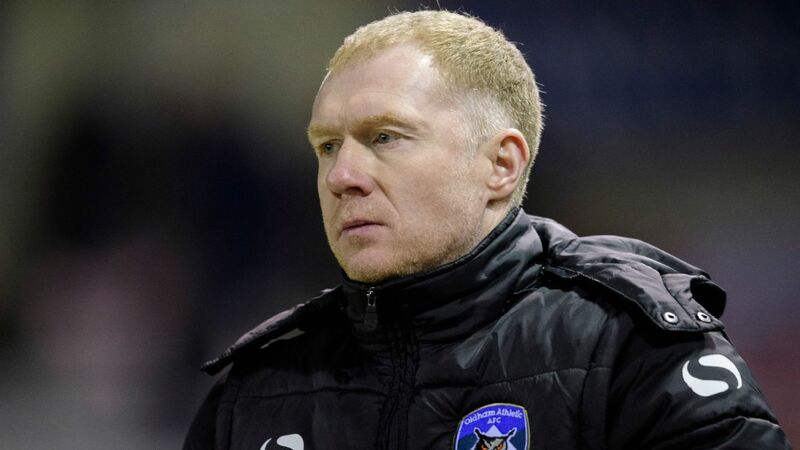 Paul Scholes spent 31 days as manager of League Two side Oldham. Former Manchester United midfielder Paul Scholes has been charged with misconduct in relation to alleged breaches of the Football Association’s betting rules, the English governing body said on Tuesday. It is alleged that the 44-year-old former England international placed 140 bets on football matches between August 2015 and January 2019, the FA said in a statement . Scholes won 11 Premier League titles, three FA Cups and two Champions League crowns before hanging up his boots in 2013. He recently left his role as manager of League Two outfit Oldham Athletic after only 31 days in charge. He has until April 26 to respond to the FA charge. Representatives of Scholes could not immediately be reached for comment.